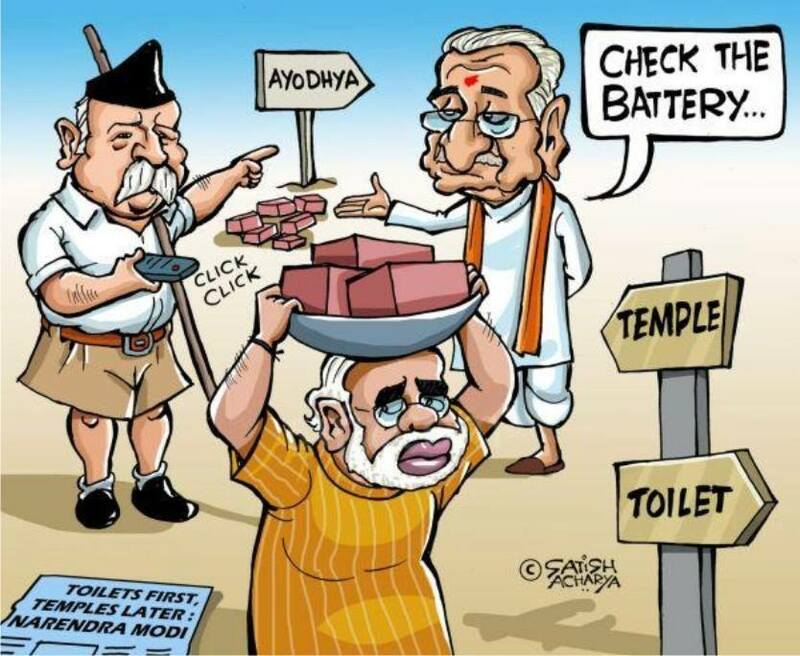 Political cartoons are back in India. They are not just back but have become powerful enough to disrupt Parliament, force authority to resign, land their creators to jail and terrify the people who were once symbols of terror! 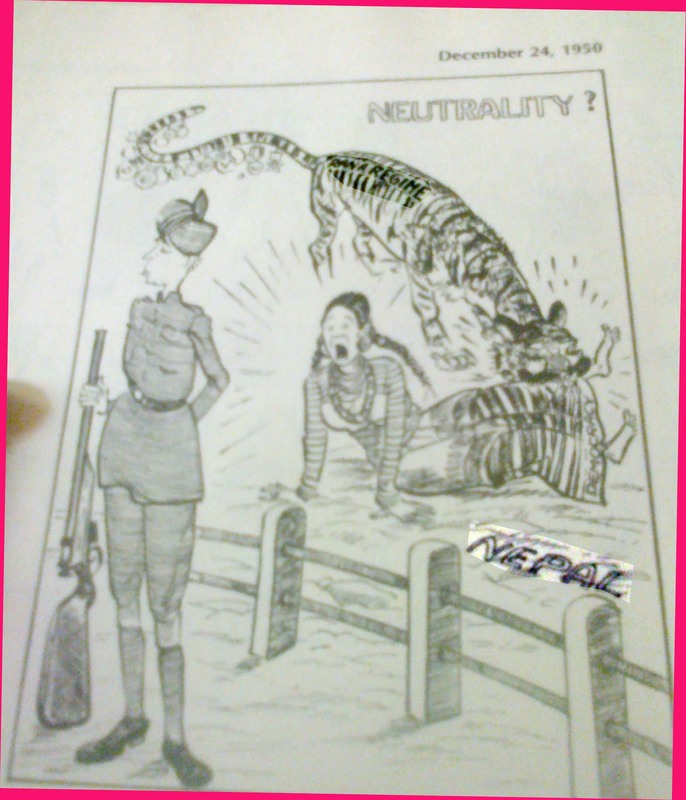 Editorial or political cartoons in free India have an exemplary history. In the initial years they dared to speak what critics refrained from asserting. The father of Indian political cartooning, Kesava Shankara Pillai, popularly known as Shankar, highlighted the complexities of India’s positioning against then realpolitik in simplest ways possible. Many a times his cartoons influenced the decision making. One of his cartoons I like the most is on Nepal. 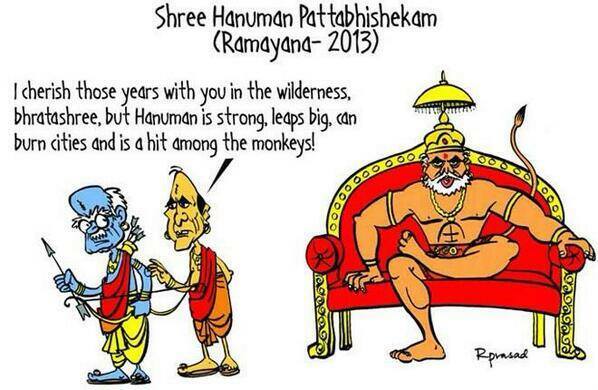 In the cartoon, he showed that India could not remain aloof to rising anti Rana feeling of Nepalese. In a few days of its publication India decided to mediate. The result: end of Rana dynasty or Ranashahi. Shankar sketched more than 1400 cartoons mostly during Jawaharlal Nehru’s era. His cartoons, then, had become so important that it is said Nehru used to wait for Shankar’s Weekly to learn about the flaws in the works of his government! 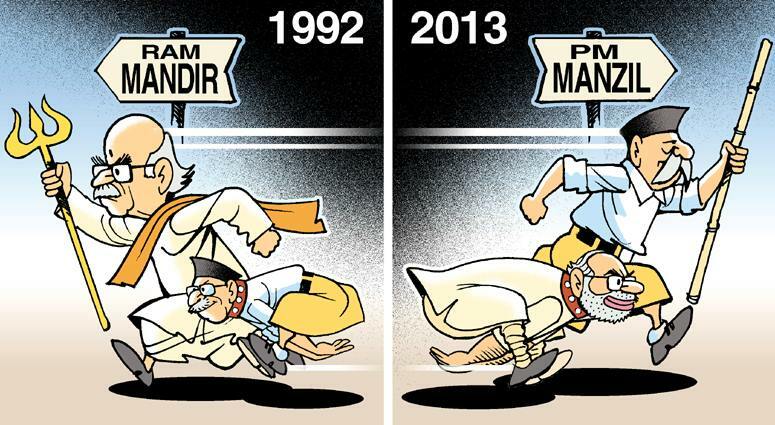 Recently, in January 2012, India again witnessed a rise in publication of vocal political cartoons. Irony is, this phase too began with a cartoon of Shankar! The cartoon Shankar made in 1949, highlighting the slow speed in constitution making suddenly put hold on Parliament’s work. The very cartoon which speeded up the constitution making process culminating in creation of Parliament was considered inappropriate by the members of Parliament and ordained to be removed from the text books! This entry was posted on October 7, 2013 at 1:40 pm	and is filed under India. Tagged: Cartoon, Irfan, Kesava Shankara Pillai, Keshav, Political Cartoon, R. Prasad, RSS, Satish Acharya, Shankar, Sorit, Surendra, Vishnu Sharma. You can follow any responses to this entry through the RSS 2.0 feed. You can leave a response, or trackback from your own site.